Wandering around Manarola, we accidentally stumbled upon a small museum. 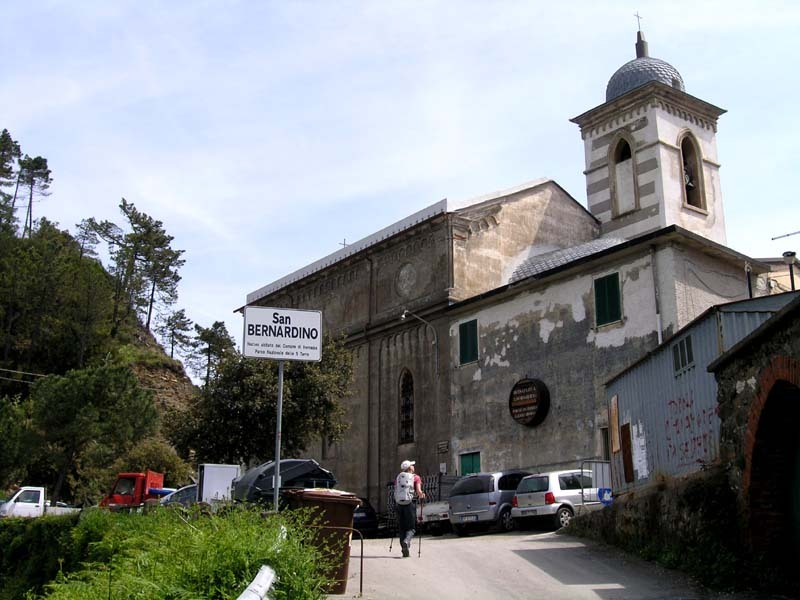 The museum offers free entrance for owners of Cinque Terre Card and features a video presentation (in Italian and English) about the history of wine making in the region. They also sell wine. You can buy a half liter bottle of their best CinqueTerre Sciacchetra for 100 EUR. After visiting the wine museum and enjoying some cooling off by the sea in Manarola it was time to move on towards the town of Corniglia. Before we went on, we climbed to the town's cemetery. The cemetery itself is nothing special, but it offers some really nice views of Manarola. 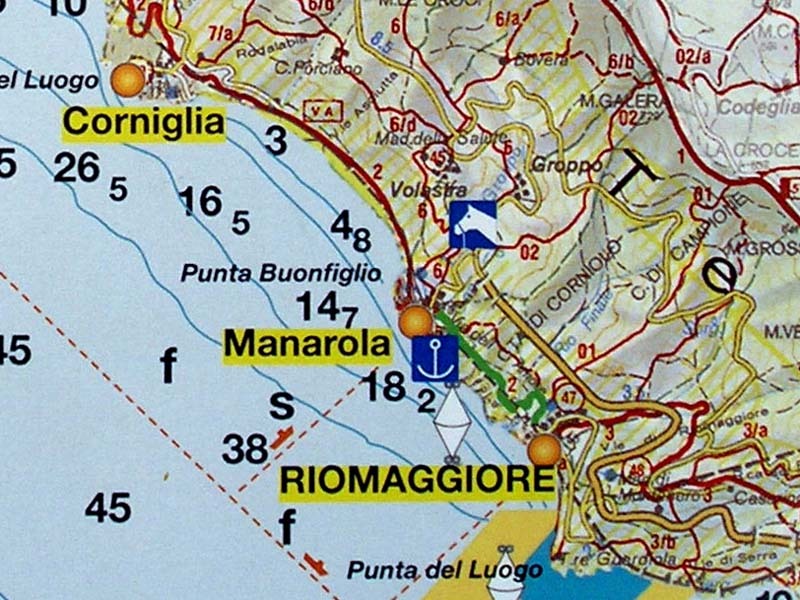 We continued using the Blue Path (Sentiero Azzurro) marked with number 2 on most maps (you can check out a map in my previous post for details). This part of the way didn't take us long, but despite that we decided not to visit Corniglia on the same day. A few hundred steps uphill were another reason why we didn't do it. The coastal path, as the name suggests, is relatively close to the sea. 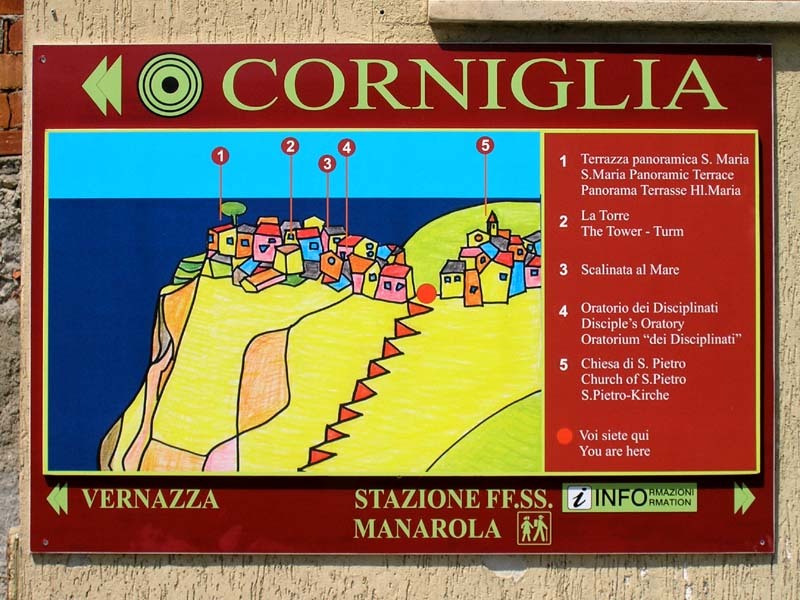 The town of Corniglia on the other hand is about hundred meters higher on a hill/cliff. 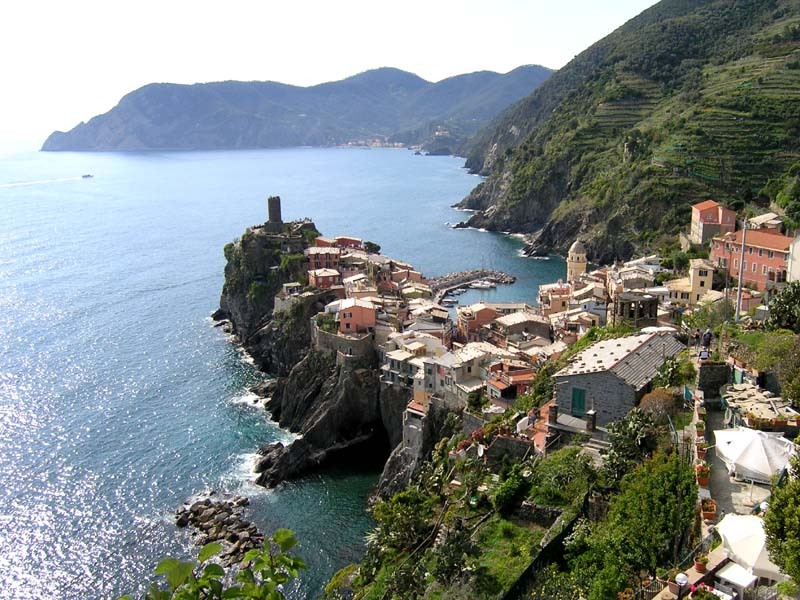 Train stations of all other Cinque Terre towns are on the same level with towns and relatively near sea level. 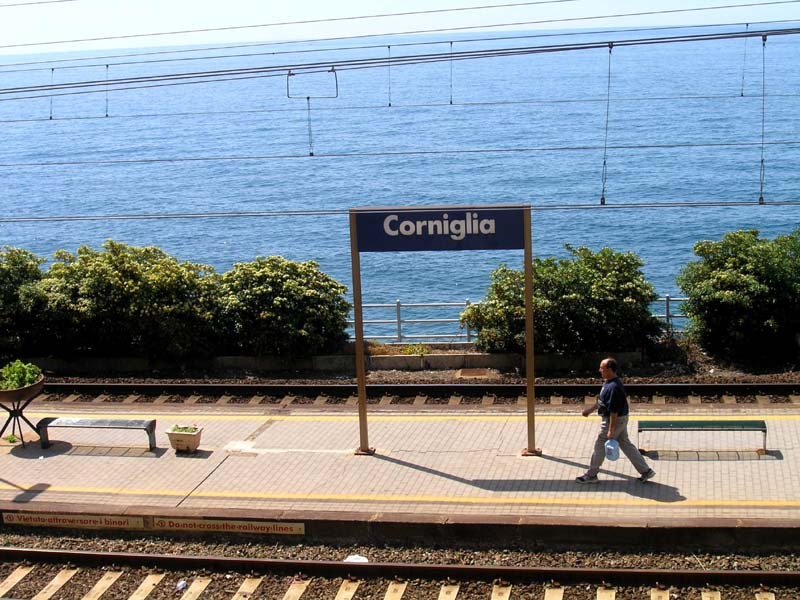 The Corniglia train station is just next to the coastal path but some 20 minutes walking distance away from the town. It is not the distance, but the climb that might be a turnoff for some. When we caught a train for Levanto it was already late in the afternoon. Freshly cooked spaghetti con pesto Genovese with some freshly grated Parmigiano-Reggiano cheese and a glass of Chianti Classico in front of our tent concluded a perfect evening. I could also title this post "The most overrated part of Cinque Terre". In my opinion, that's just what Via del Amore is. 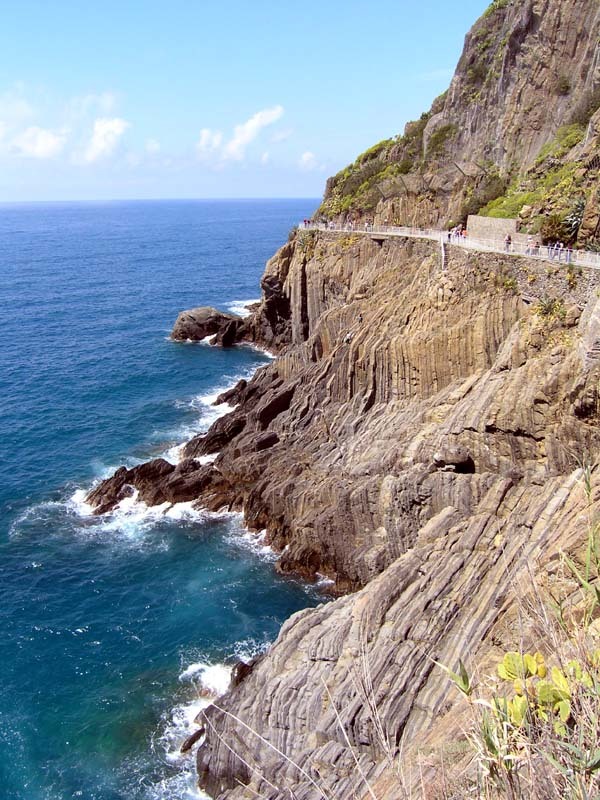 The fact is that this Path of Lovers is connecting two very charming towns - Riomaggiore and Manarola (the only green path on the map), but the path itself is nothing special. Yes, one can see some really interesting rock formations on the way from one city to the other, but that's about it. Also the path is asphalted and nicely maintained, which if you ask me, is a downside really. As a consequence of that, even more crowds are drawn here - in fact I suppose this is the busiest part of Cinque Terre. It seems like all of the Japanese tourists visiting the area, come to check this place out. High heels and a Gucci (Armani or Versace) shopping bag are a must. The thing that is supposed to be the most charming feature of this area are countless love graffiti covering almost every rock. It is supposed to be the cutest thing on the planet but I didn't see it that way. To me those scribblings seemed just as inappropriate as anywhere else. Regardless of all that, M. and I have enjoyed the walk and the view, but if we knew what to expect, we would have probably taken one of the less crowded paths connecting the two towns. Other paths are situated a bit higher uphill and therefore offer better views. We arrived to Riomaggiore in the morning, using a train. After a slow stroll around the little town and a short stop at the local church, we took the path to Manarola. The second town looked even more charming then the first and we really took our time walking slowly. In Manarola M. reminded me that her sugar level is getting low. A delicious chocolate ice-cream was just what she needed before we moved on. Our plan was to reach Corniglia on the same day. When we arrived to Levanto, it was already 3pm. 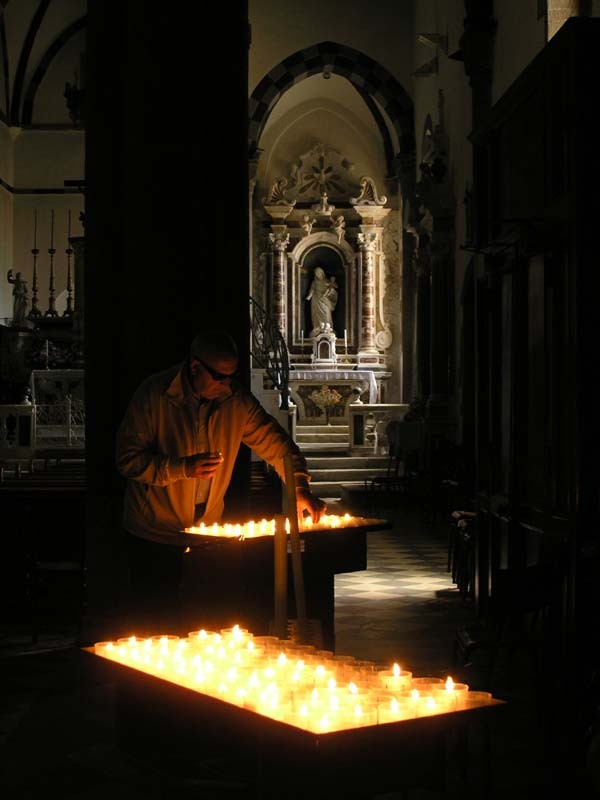 By the time we settled in the Acqua Dolce Camping it was already too late for hiking. We decided to take it easy and go for a walk around Levanto. Maybe take a stroll through the town center, check if the Ligurian sea was still as wet as the last time we checked and go to sleep early. 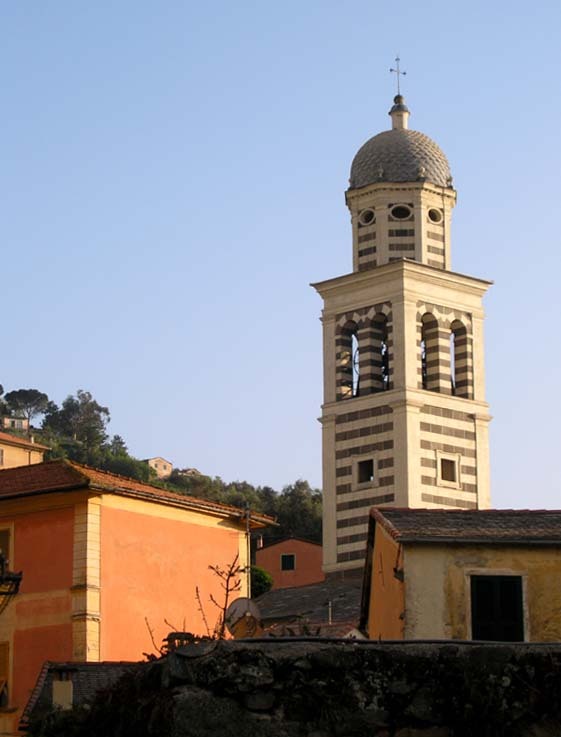 Levanto is a charming little town, just perfect as a starting-point for hiking around the Cinque Terre National Park. The prices are a bit more reasonable and the town of Monterosso (the first of the Cinque Terre towns) is just around the corner. If you want the best prices and really fresh goods, you just have to visit the covered marketplace, which unfortunately is only opened in the mornings. They usually have even quite a selection of fresh fish. We also liked the sandy beach. It was quite empty when we went there (around the first of May). I don't want to know how it looks during the summer months. Only a few people were crazy enough to actually go into the water. Even those were mostly kids, playing with some kind of small wooden surf boards. It was fun watching them for a while. 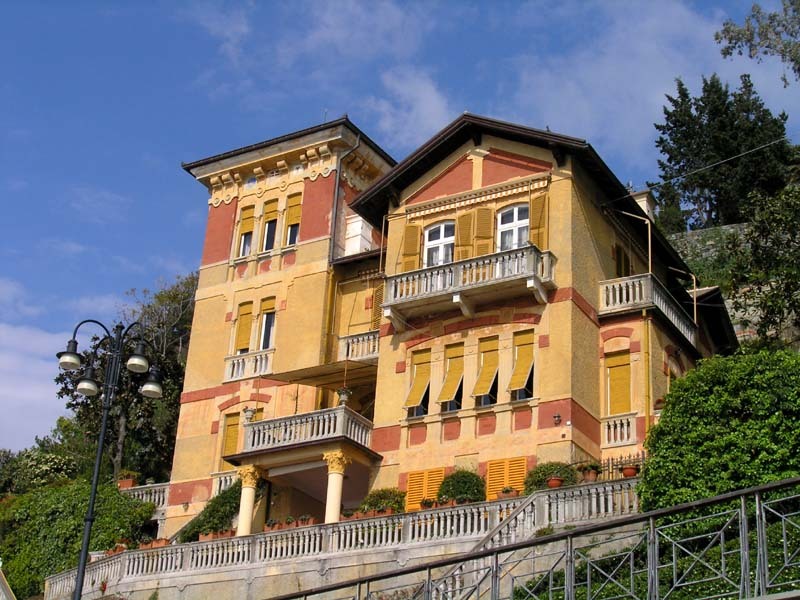 There are some really beautiful houses situated by the beach. You can see two of them on the above photos. Some of them almost look like mansions. I wonder if they offer accommodation. The town center is full of different little shops. The one we liked the most is called "Il Laboratorio del Pesto alla Genovese". They produce their own pesto sauce, which the area is famous for. We bought it, tried it and enjoyed it. They generally have two kinds: a fresh kind and a kind in sealed glasses. We tried both kinds and agreed that the fresh one was better. If you don't know what to do with pesto sauce and how to use it, they will kindly offer a few suggestions. 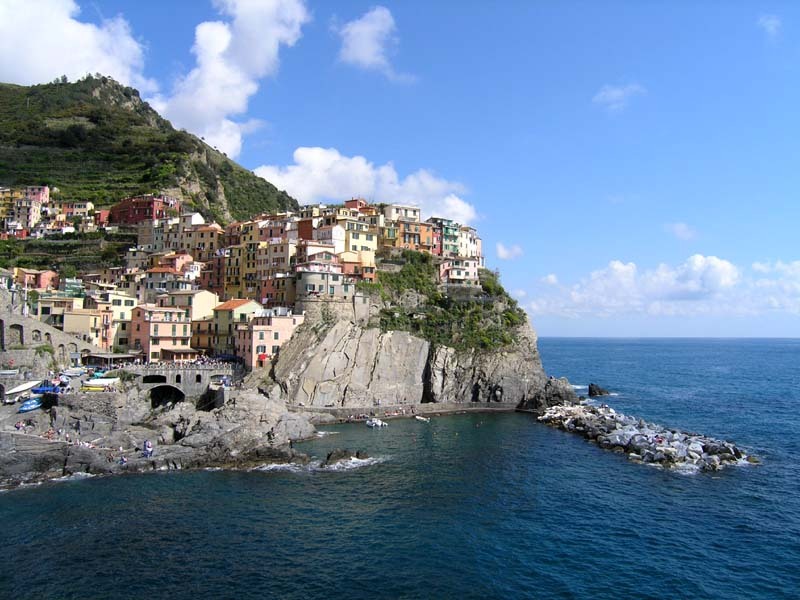 When to buy the Cinque Terre Card? 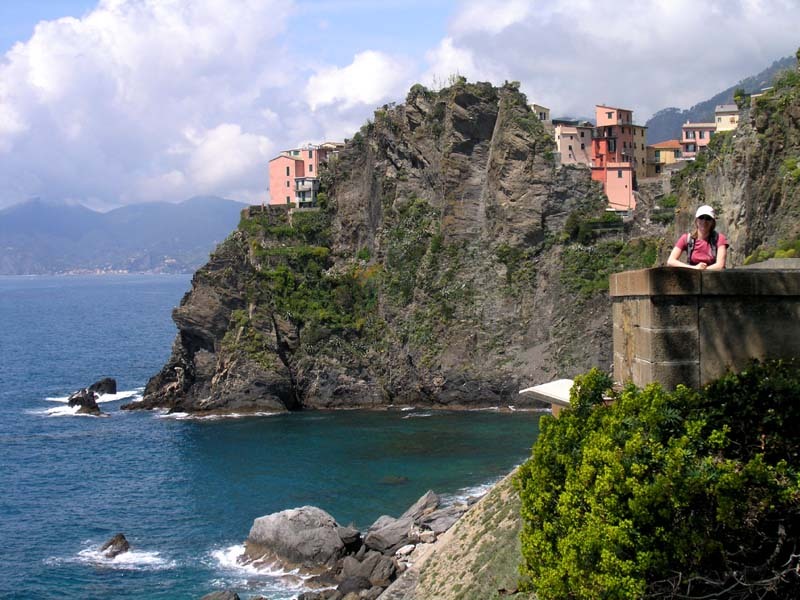 Before we went to Cinque Terre we did some Web research on what kind of tickets are best to buy in the five days we were spending in the region. 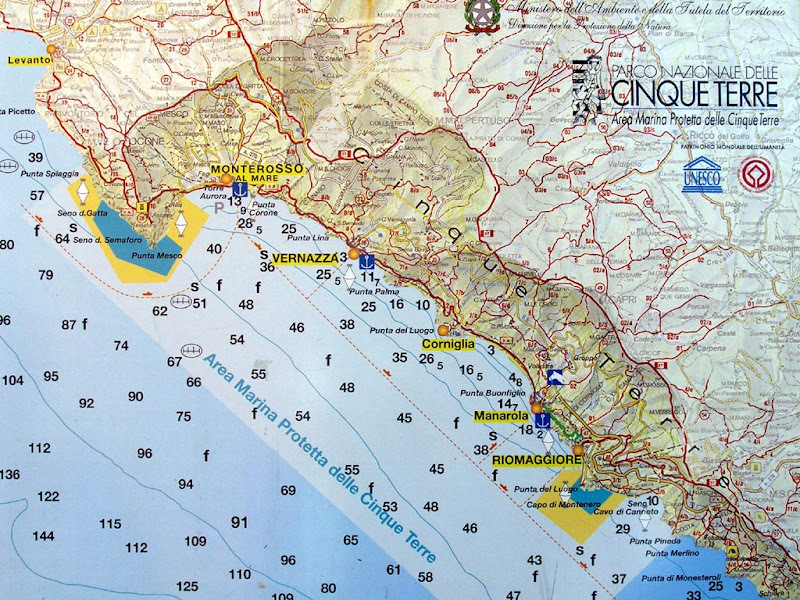 It's a fact that you need a ticket for hiking the blue path (a coastal path also marked with number 2 on some maps) within Cinque Terre National Park. 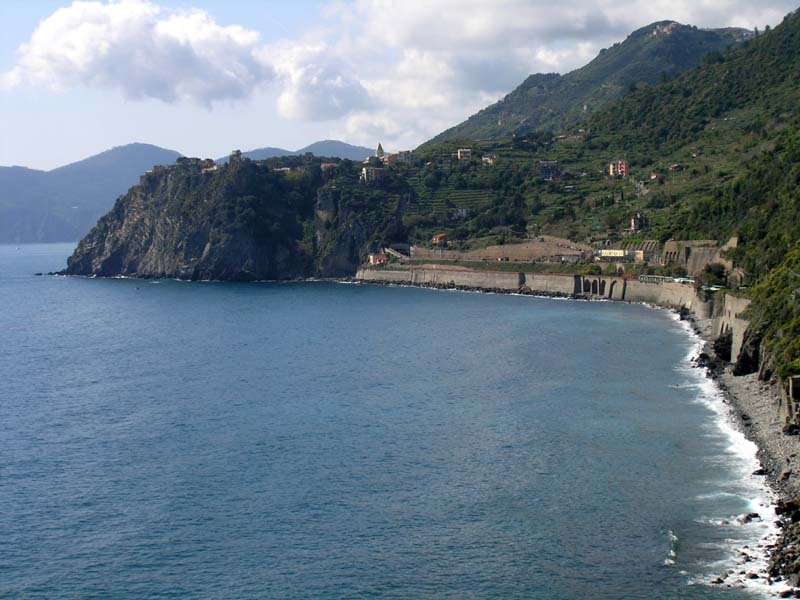 One option is the Cinque Terre Train Card (5terre train), which includes usage of the blue path and unlimited train usage between La Spezia and Levanto. Please be careful when buying the card, because there is also a version without the train available (Cinque Terre Card). For more information please refer to this site. This option (5terre train) is worth taking only in case your plans include hiking around the park (using also the blue path) and taking at least two train journeys a day. Take into account that if your hiking plans include avoiding the crowds, you probably won't be taking the blue path too often. If this is going to be your routine for more days in a row, you might consider choosing a two or three day ticket (it is cheaper to take a two day card, than two single day ones). Please bear in mind that we were stopped by a ticket control every time we entered the blue path, but if we didn't have the ticket at the time, we could buy it on the spot. A couple of years ago there was also a ticket available, covering hiking, train and boat rides. I think it is not sold anymore. As we were staying in Levanto, we figured that we will be using the train at least twice a day and our plans also included three days of hiking. So we chose a three day Cinque Terre Train Card, which we bought at the information center in Levanto (a guy there also recommended it). We weren't sorry, because among other things this was a very elegant way to avoid long queues every morning at the train station. This can be quite a strong point, especially during the busiest summer months. We just weren't expecting so many people at the train stations on some occasions. And it wasn't even high season yet! On the other hand, if you are only planning to do some small amount of hiking (and not for more days in a row) or your plan is to stay in one of the towns within the park, I think you don't need the combined ticket. 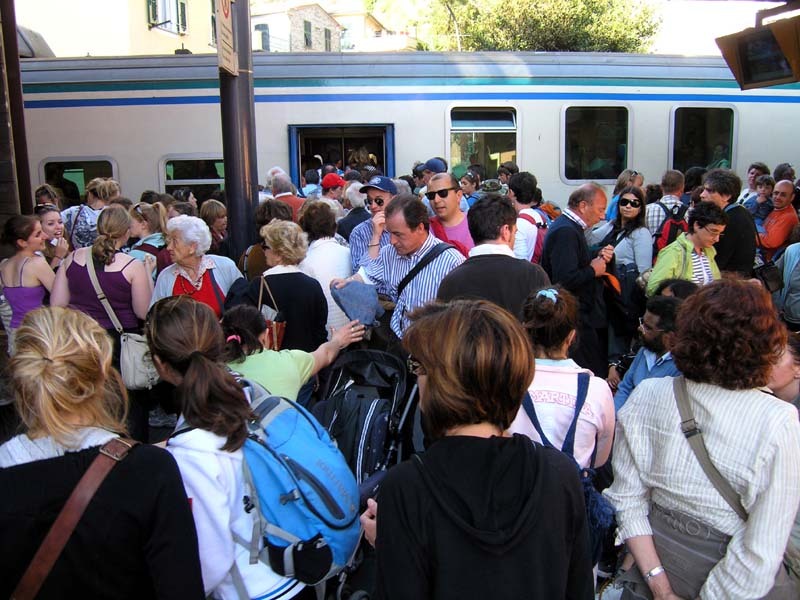 If standing in a queue to buy a train ticket is a big turnoff for you, you might even buy the Cinque Terre Train Card for this reason alone. Don't forget to validate the ticket at the train station before you take the first train ride (use the yellow machine). If you are wondering how exactly a train ticket validator looks like, you can check it out on this link. 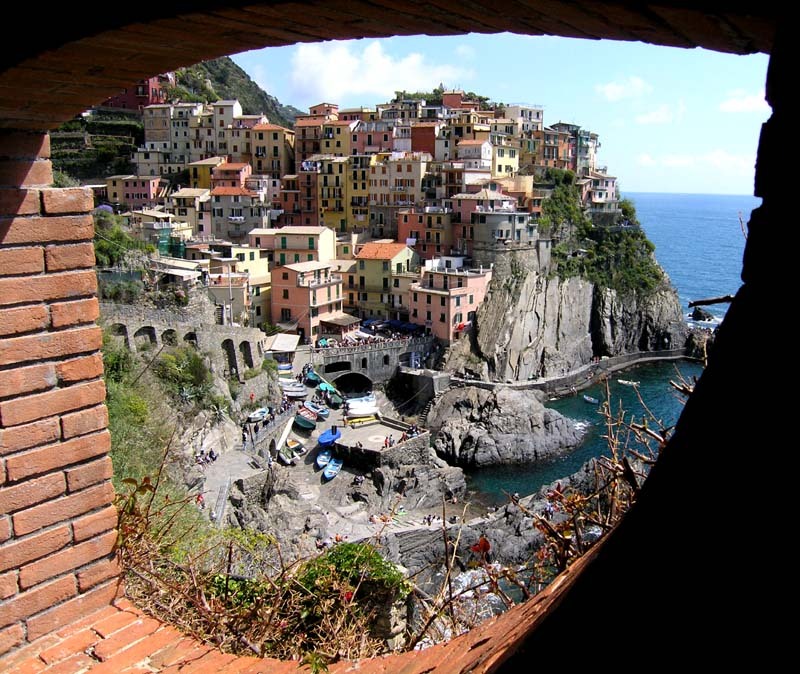 When we chose Cinque Terre as our destination, M. and I were going through our options for accommodation. We decided that most of the rooms found on the internet were a bit expensive for our budget. If you take into account that we have a quite decent tent and that we aren't really all that demanding when it comes to travel comfort, the logical decision is to go camping. 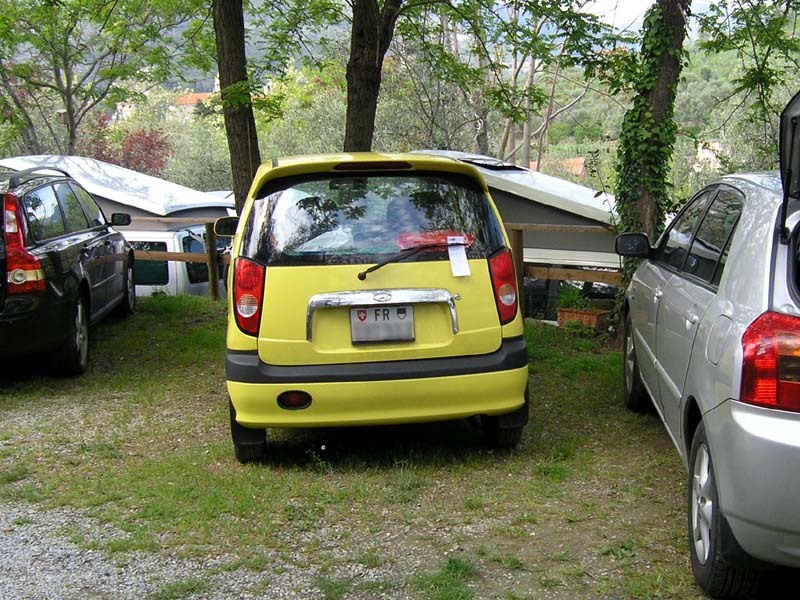 As we have already tried quite a few camping sites around Italy, this time we didn't want to choose the cheapest one. Location was also an important criteria. 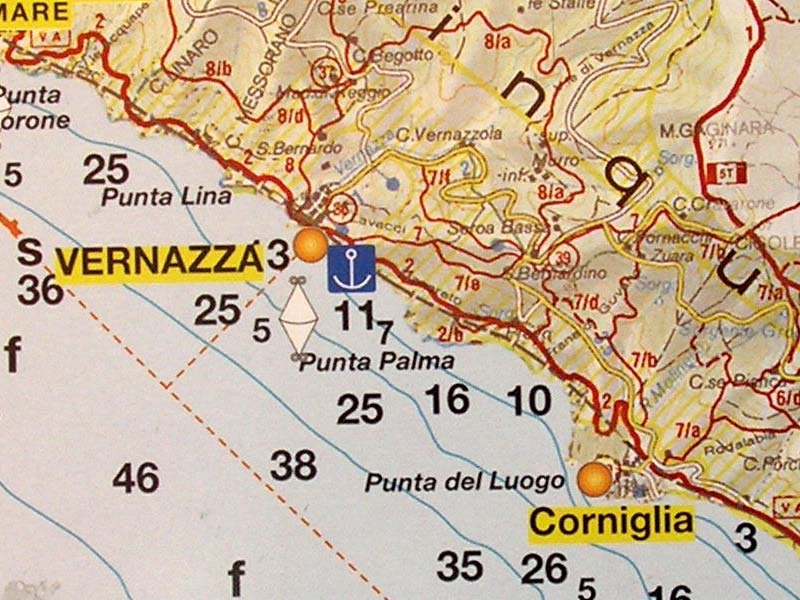 Because of a lack of parking spaces near most of the five towns, we tried to find a location with as many trains to the Cinque Terre National Park as possible. Because we found no camping sites in the park itself, we decided to stay in Levanto, which is just North of the National park. 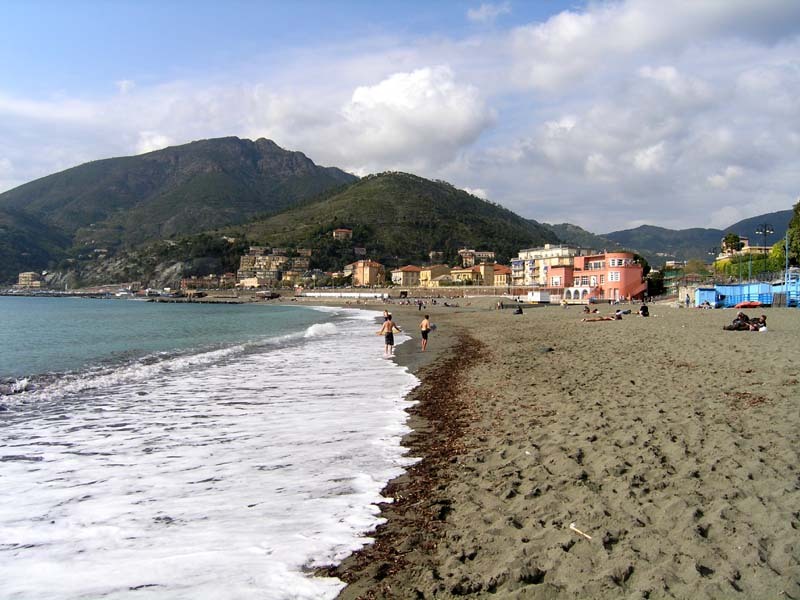 There are a couple of camping sites to choose from in Levanto. We chose the one with best guest feedback. We really couldn't find any discouraging information on Acqua Dolce Camping. The only few bad comments were associated with too much crowds in July and August. As we went in the beginning of May, we didn't expect to see many people camping. But as I already mentioned in my previous post, Acqua Dolce Camping was full. Even the guy at the reception said that it was not an every year occurrence. 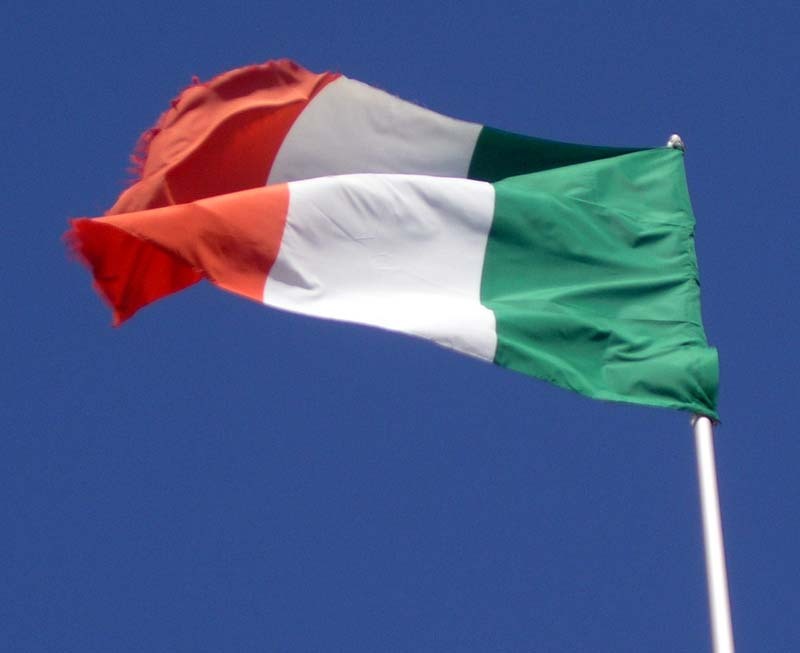 This camping has a quite strict set of rules, some of which are really unusual for Italy. They even have leaflets printed for different situations. For instance if you don't park your car close enough to the car next to it you soon find a piece of paper stuck under your car's wiper (like the one you can see on the photo below). 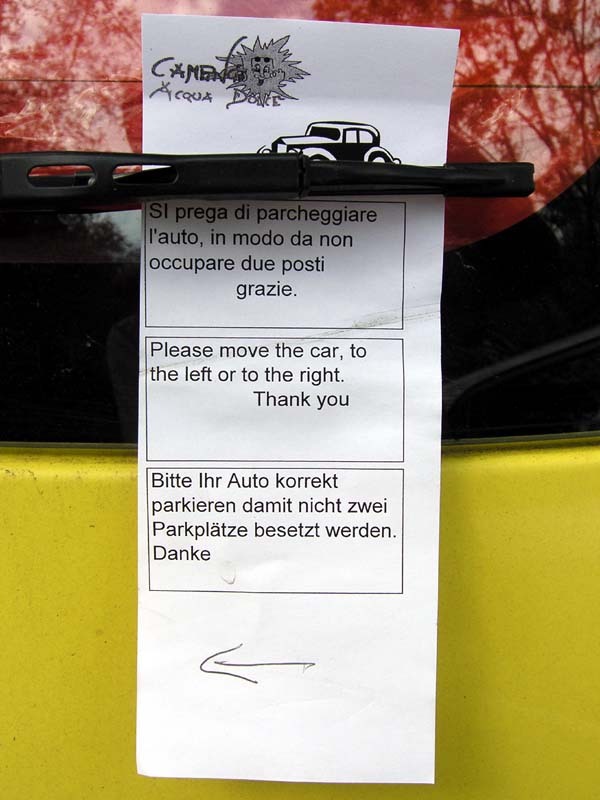 I just couldn't stop laughing when I saw a Swiss car with such a piece of paper put there by an Italian guy. If that isn't a stereotype turned upside down, I don't know what is! And I couldn't even say the Swiss car was all that badly parked. Especially regarding that there were no parking spaces marked on the ground. I think those of you who ever tried car driving (and parking) in Italy, will easily see the irony of this event. We are back from Cinque Terre, Italy! We were away for five days and came back two days ago... and once again we had a great time. The weather was like it had been ordered in advance - sunny and not at all too cold for camping. 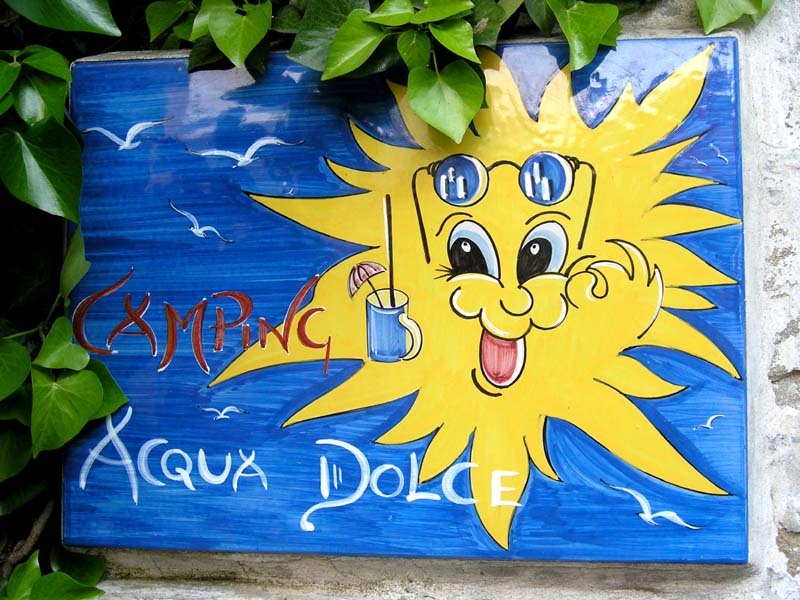 We stayed in the Acqua Dolce Camping in Levanto. Surprisingly it was almost full. On Thursday (1st of May) they even put out a sign stating, they ran out of space for caravans. This was quite a surprise for us. It is not a big camping site, but to be full at this time of year, came as a total surprise for us. 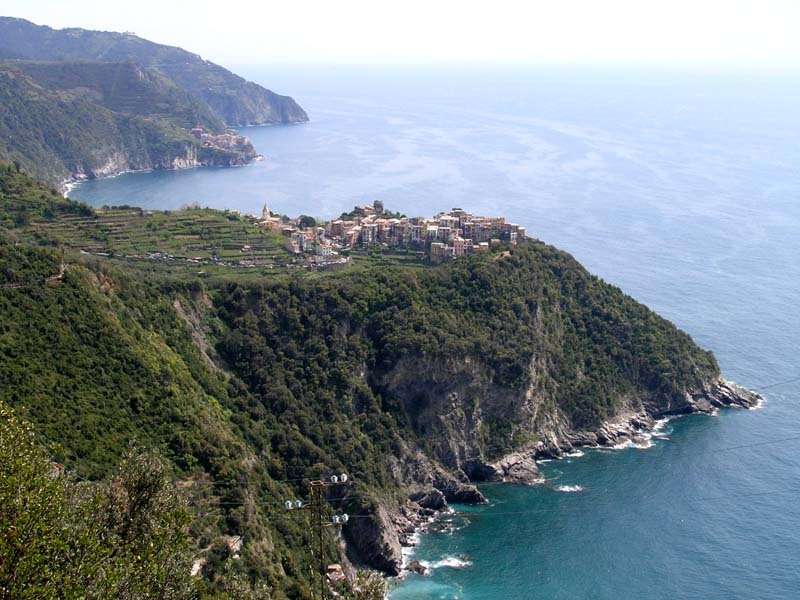 We took advantage of the weather and hiked for three days in the Cinque Terre National Park. We also took time to enjoy some of the local cuisine and wine. In the following few posts I will try to describe our experience in these short five days, include some nice photos and share a couple of useful tips for those of you who are thinking of going there. The above three photos should do as an appetizer. On the second one you can see the beach of Levanto (which is officially not a part of Cinque Terre, but almost as beautiful) and on the third one is Manarola.